Bibliophiles know there's no wrong time to fete your favorite book or author. But if you want company—at least among a certain subset of the population—in your celebration, plan a party for one of these delightful literary holidays. Popular throughout the United Kingdom, and especially Scotland, this celebration (which goes by several other names depending on what you call the nation's premier poet—Robert Burns, Robbie Burns or even Rabbie Burns) features a set menu of Scottish favorites, including haggis, which is addressed in the verses of Burns himself. Other poems are read, speeches of appreciation are performed and, in the case of more formal iterations, the night ends with dancing. This soon-to-be 17-year-old celebration is an opportunity for the National Education Association to encourage parents, teachers, and children to share their love of reading. And what better day to do so than on the great Dr. Seuss' birthday? Founded in 2008 by Martha Brockenbrough, who also founded the Society for the Promotion of Good Grammar, this is a day to snuggle up to your favorite style guide. You could also participate in the annual Twitter-based, grammar-themed haiku contest. Snarkily policing other people's grammar is not condoned. While celebrating this holiday might only appeal to theater nerds and Audrey Hepburn afficionados, the origin of the date is a story worth telling. In Act 1 of My Fair Lady, Eliza Doolittle imagines meeting the king and sings: "One evening the king will say, 'Oh, Eliza, old thing — I want all of England your praises to sing. Next week on the twentieth of May, I proclaim Eliza Doolittle Day.'" And so now it is. One of the most well-known book-based holidays, Bloomsday derives its name from Leopold Bloom, the protagonist of James Joyce's Ulysses, and is set on the day that the entirety of the book takes place. Most popular in Joyce's Dublin, the Stateside celebration centers at Philadelphia's Rosenbach Museum & Library, home to the handwritten manuscript of Ulysses. Oh you thought the Fourth of July was just Independence Day? Well, in the Hannibal, Missouri hometown of Mark Twain, it's also part of a multi-day honoring of the classic American author. Activities are based on scenes from Twain's books, including a frog long jump and a fence painting contest. Chief among the niche nature of the holidays on this list, Clerihew Day celebrates the eponymous poem form invented by Edmund Clerihew Bentley on the English author's birthday. While you might not know it by name, the clerihew is a sing-songy poem that most people have encountered in jest. The general form is four lines consisting of rhyming couplets AA/BB that starts with a person's name and tells you something, often mocking, about the subject. 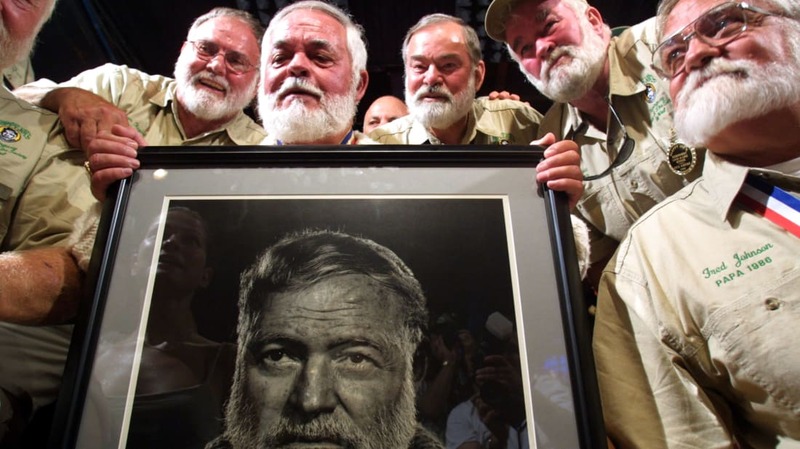 This July will mark the 34th time that fans of Ernest Hemingway's work and persona gather to engage in a week of emulating the Pulitzer Prize-winning Papa in Key West, where he spent many productive years. Attendees will participate in look-alike contests, readings, and a marlin fishing tournament, among other Hemingway-approved events. Celebrated on the fictional birthday of Bilbo and Frodo Baggins, Hobbit Day actually caps off an entire Tolkien week—described as "the calendar week containing September 22" by the American Tolkien Society, which first marked the holiday in 1978. Of course, any day is a good day to broaden your lexical library, but the birthday of Noah Webster is a particularly apt occasion.